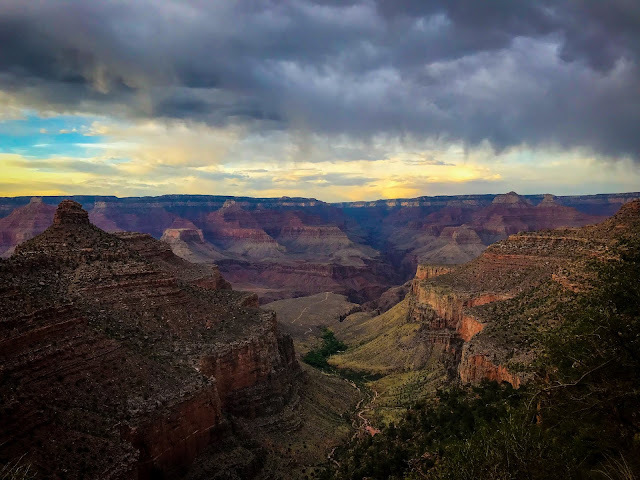 The running and hiking adventures of a mid-pack road runner and back-of-the-pack trail runner...taking a lot of photos along the way! What is that saying - when one doors closes, another opens? Well it happened perfectly with my big races this summer. 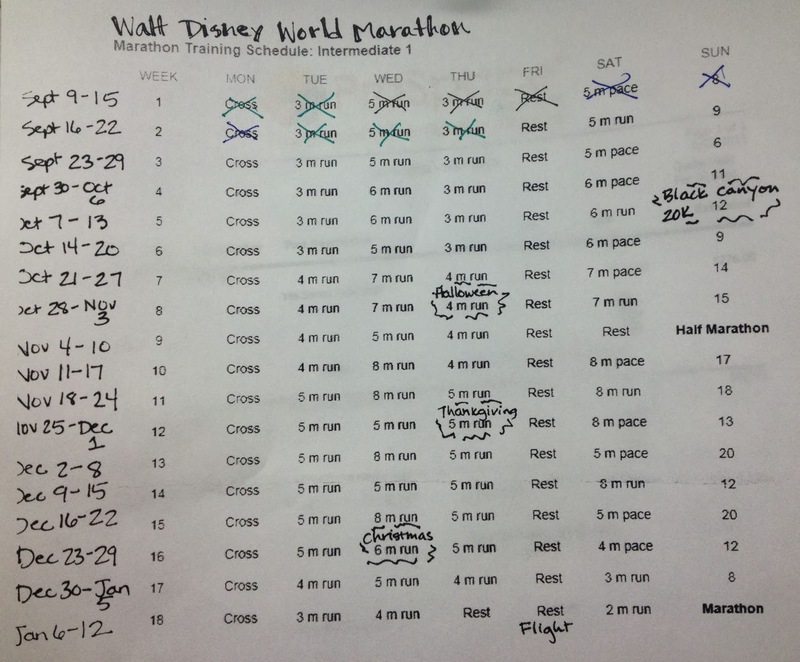 Just by chance, the Monday after Imogene Pass Run marked exactly 18 weeks out from the Walt Disney World Marathon, which meant marathon training was officially starting! I honestly can't believe how quickly the past 5 months have gone by since I registered! It seemed so far away and yet here I am starting to "officially" train! I honestly can't wait. 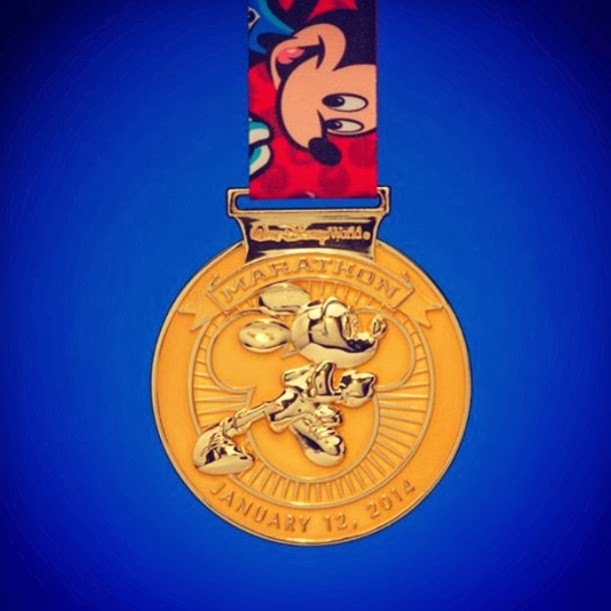 I knew I wanted to run my first marathon at Disney, but it's been hard to wait this long. I would've been ready to run a late summer or early fall marathon if there had been one. But overall I am very happy that I waited to do Disney. 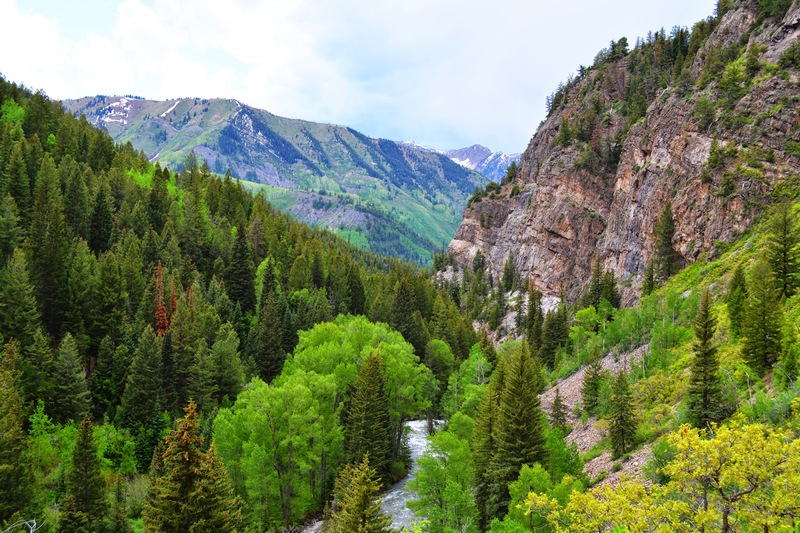 Had I done an earlier marathon I probably never would've done Imogene Pass Run, and thus never gotten into mountain running. Now I know I can do both road and trail running! The official 2014 finisher's medal! I seriously can't wait to have this around my neck! I might have to wear it around Disney World all week! I've decided to do the Hal Higdon Intermediate 1 training plan. It's 18 weeks long and consists of running 5 days per week, cross-training 1 day per week, and 1 rest day per week. So far I like it, but it actually starts out with lower mileage than I'm used to. I've been trying to use this as a chance to get more strength training and stretching in. I tried out a "BodyFlow" class at Gold's Gym which I really like. It's a mix between yoga, pilates, and tai chi. I'm hoping to make this a weekly thing, along with Yoga on Thursdays. What I also "want" to do, but can't ever manage to get myself to do is more core work. We'll see how that works (I just can't manage to get myself addicted to core work like I can running - I wonder why?). 2 weeks back into a structured training plan I have found it's more difficult than I thought to get back into the swing of things! I ended up going way over miles week 1, and way under week 2. The Half Marathon was mostly at fault for the extra miles during week 1. For week 2, I drove over to Denver for the weekend which put a damper in my weekend running. I was planning to do my 9 mile run in Denver on Sunday morning, but then I heard the mountains were supposed to get quite a bit of rain, so at the last minute I ended up driving back home early, with the intention to run in the afternoon. Well I started my run, and then it started raining. And it was COLD rain. And for some reason I just wasn't in the mood, so I did something I really don't do that often - I gave up. I did go for a semi-long run (7 miles) the next day to try and make up for it. So there you have my first 2 weeks of training. It is definitely going to be a process! But I know as fall and winter roll in my weekends are going to free up more which should make getting my miles in easier. On another note, I have decided that I want to use my marathon and marathon training to benefit a good cause. I will be running in honor of my Grandmother who passed away in August 2011 to Alzheimer's. I have signed up to join the Alzheimer's Association ALZ Stars program to help fund raise. My goal is to raise $1,026.20. I want to run not just for me, but to benefit others as well! If you would like to donate to the cause, please check out my fundraising page by clicking here! I appreciate any and all support, no matter the amount. My plan is to update my blog on a fairly regular basis this winter with my marathon training, so feel free to check back every few weeks for updates.